Nintendo's newest handheld is selling fast, and helping Nintendo out of their problems of over-saturation. 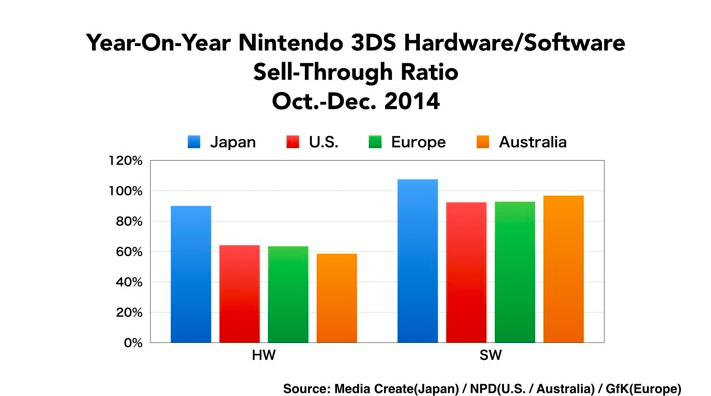 In today's 3rd quarter financial results briefing, Satoru Iwata, president of Nintendo, stated that sales of the New Nintendo 3DS were huge so far. Although the results are still in their preliminaries, as the chart below indicates, consumer interest in the product seems to be surging since its release last Friday. 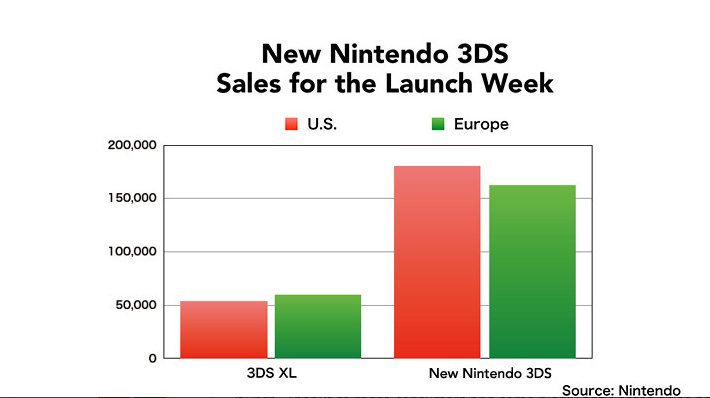 It's believed that anticipation for the New Nintendo 3DS in the European and North American markets caused some gamers to be cautious in their purchases. That lead to holiday sales being lower than they could have been. Nintendo is making up for those lost sales this week though, with the new hardware and several highly anticipated titles launching. Although the hardware is selling like hotcakes, with many retailers completely sold out of stock, Nintendo is acting fast to get them in the hands of gamers everywhere in an attempt to exceed last year's excellent profits. 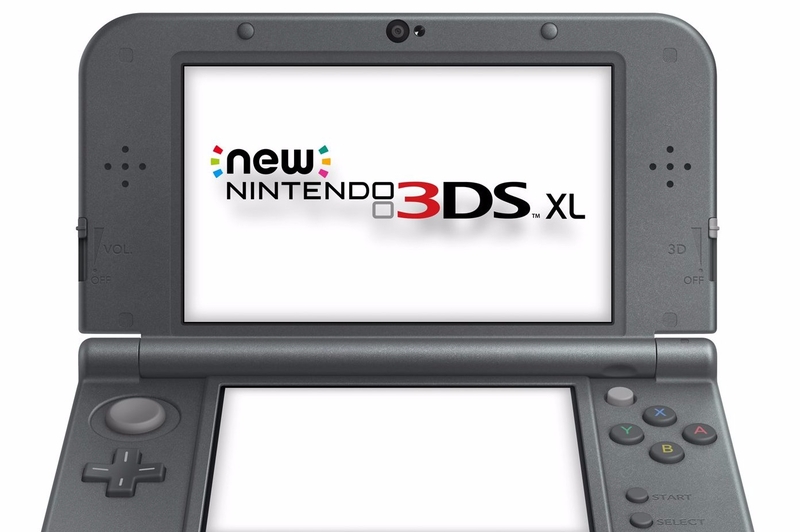 Nintendo is hoping that the combined ownership of the original Nintendo 3DS XL and the New Nintendo 3DS will lead to sales growth in their software department.